What Are the Major Currency Pairs? The major currency pairs are the most traded currency pairs in the forex market. For this discussion, we will look at the first four pairs, in descending order. The EURUSD is the pairing of the Euro as the base currency, and the US Dollar as the counter currency. The EURUSD currency pair is the most traded pair in the forex market and has the greatest liquidity. Recent data from the Bank for International Settlements (BIS) reveals that trading in the EUR/USD accounts for 23% of the total daily forex trading volume in the forex market. Trading volumes are actually down from the 2013 figures, showing that traders are not as interested in trading the Euro as they once were. Due to the volume of trade and the amount of money that goes into trading the EURUSD, this pair has the lowest spreads in forex. The intraday trading range for the EURUSD averages 100 pips. The EUR/USD tends to be negatively correlated to the USD/CHF and positively to the GBP/USD. These are the characteristics of the EURUSD. Interest rate statements/actions of the European Central Bank (ECB). Interest rate adjustments/statements by the US Federal Reserve. Sovereign debt issues in certain Eurozone economies (Greece, Ireland, Portugal, Italy and Spain). Crude oil prices (affect the USD). The impending US election slated to hold on November 8, 2016. The EURUSD can be traded by all strata of traders. The EURUSD has a reasonable intraday range, so it is suited for day trading as well as swing and position trading. The EURUSD can be traded using technical and fundamental analysis. It is very actively traded in the London and New York sessions, so it is amenable to respond to high-impact news releases emanating from the US and from the Eurozone. Always study the economic news calendar for a schedule of these news items. It is also important to watch the currency correlations of the EURUSD. It is positively correlated to the GBPUSD and negatively correlated to the USDCHF. A comparison of these charts can indicate arbitrage trade opportunities for the EURUSD. The pairing of the US Dollar with the Japanese Yen happens to be the second most traded currency pair in the forex market, with a daily trade volume which accounts for 17.7% of total volume of forex trades daily according to the Bank of International Settlements (BIS). Due to the fact that it is a Yen cross, the pricing is listed to two or three decimal places. Best trading times: Asian trading session (0000 GMT – 0900 GMT). It can also be traded during the New York session during the release of the NFP and the US Core Retail Sales reports. Any currency interventions by the Bank of Japan. Any announcements of quantitative easing. Trade and employment-related news events from the US such as the Non-Farm Payrolls report and the Core Retail Sales report. To a minor extent, crude oil prices. Natural disasters affecting New Zealand. The USDJPY is marked by its low daily ranges. It is not very suitable for range trading when the currency pair is in consolidation. The USDJPY should not be traded by new traders until they have attained some degree of demo account trading experience working with the news releases that affect the JPY. Trading the USDJPY is suited for those who practice swing and position trading. The GBPUSD comes up third in the ranking of the currency pairs by daily trading volume. The report by the Bank for International Settlements (BIS) reveals that the GBP/USD accounts for 9.2% of total daily trade volume. The fallout of the Brexit vote has increased volatility on the GBPUSD. Traders will therefore expect a lot of movement on this pair well into 2017. Average broker spread: 2-3 pips. These may widen intermittently as news connected to the Brexit vote hits the markets. Major news items affecting the UK such as industrial and employment data, as well as the inflation data (including BoE inflation letter). Interest rate decisions by the Bank of England (BoE). The GBPUSD is known for its choppy movements in the middle of news trades. The GBPUSD has a positive correlation with the EURUSD, and tends to magnify any moves by the EURUSD. Trading the GBPUSD requires a little experience and the currency pair is well suited for intraday trading due to its large intraday range. It can also be traded by swing and position traders. Starting from 4.30am (with Daylight Savings Time On) or 3.30am (DST off), economic news starts to come out of the UK. This is when newsworthy volatility is noticed. Further response is seen when US traders start to impact the market at the open of the New York session. The pairing of the Aussie Dollar and the US Dollar is now the fourth most traded currency pair in the forex market, with a daily trade volume which accounts for 5.2% of total volume of forex trades daily according to the Bank of International Settlements (BIS). Best trading times: Asian trading session (0000 GMT – 0900 GMT). The AUD is a commodity currency. It is thus very sensitive to commodity prices, especially gold and copper. Most of Australia’s exports head to China. Therefore, news from China which border on GDP, industrial data, retail sales and employment data directly impact the AUDUSD. Housing data from Australia have great impact on the AUDUSD. Interest rate decisions from the Reserve Bank of Australia (RBA). The AUDUSD is characterized by a slow but steady response to high impact news releases. 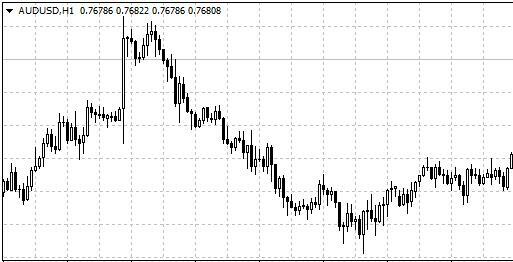 The AUDUSD is well suited to new traders because of its slow movements. At one point, it was used for carry trading (interest rate differential trading) because of the high interest it used to attract prior to the 2008 global economic meltdown.